Can safety wearables stop crimes against women? Can safety wearables really stop crimes against women? Personal safety wearables development and adoption is on the rise with a range of wearable safety devices on the market like Nimb, Revolar and Siren. Their common thread is that they aim to enable the user to get help in situations where their personal safety is at risk by sending an alert to pre-selected friends or family, typically a text message which indicates that the wearer has activated their device, along with their GPS coordinates. The underlying premise is not new — panic buttons have been around for some time. But now they have become smaller, wearable and marketed to women in the case of unsafe situations. 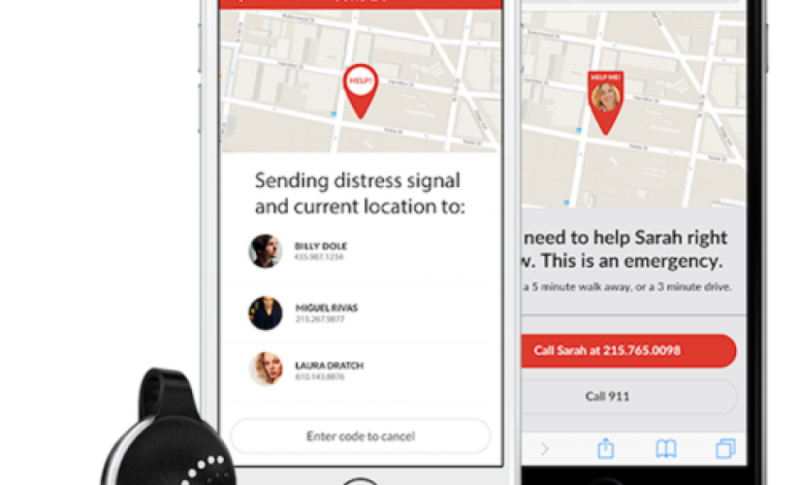 ROAR for Good created its first product, Athena, to create a simple way for women to get help. It’s a discreet wearable that can be attached to a purse or worn as a necklace and has two capabilities: the activation of a loud alarm when the user presses a button, along with the corresponding alert to pre-determined contacts, and a silent mode so that Athena still sends information to contacts, using Twilio SMS, without making a sound. This is the crux of the contradiction of the personal safety alarm phenomenon. They are chiefly marketed at women in potentially unsafe situations like walking the street at night. Their creation is often reactive, instigated by a heavily reported violent crime or personal experience of the founder or their loved ones. For example, pre-wearables, a slew of safety apps were created in Indian in 2012 in response to a case in New Delhi, India where a young woman was gang-raped and brutally assaulted by six men on a moving bus. This is at odds with two realities. Firstly, women most commonly face violence in their own home at the hands of someone known to the victim such as a partner, family member or friend-not a stranger on the street. Secondly, the victims of public crime are overwhelmingly young adult males, although the lack of crime reporting and prosecutions makes it difficult to get accurate statistics. Despite this, there are no safety devices marketing to young men, although devices such as Athena are nondescript enough that could be worn by either gender. Further, it is difficult to test the efficacy of personal safety devices. “We never had a circumstance where they had to use it right at that moment, we can’t simulate an attack, it’s not possible,” Mustafa said. Can family and friends really be crime fighters? It’s worth noting that there are currently no technical capabilities that enable any personal wearable to directly call 911 in an emergency. Even car and motorcycle emergency services much go through a switchboard first. Could SMS alerts result in little more than the ineffectual actions of relatives and friends, who are presumably not trained in emergency response scenarios? Or worse, could they lead to vigilante justice scenarios rather than direct engagement with emergency professionals? Would an emergency first responder take this seriously and respond? What’s the risk? Could these wearables be used to record evidence? At present, safety wearables lack the means to record audio or visuals. App developers have had more success. For example, the Stop and Frisk Watch App was a response to unlawful “stop and frisk” searches-an incident is recorded by pushing a trigger button on the phone. Then there’s the award-winning eyeWitness app, part of work by international humans rights activists bringing justice to those responsible for war crimes, torture or genocide in conflicts such as those in Syria, Ukraine and the Democratic Republic of Congo. The app provides a means to record images and videos with the addition of a time-stamp and GPS-fixed location and further provides a safe place to store the material. The eyeWitness team then becomes an ongoing advocate for the footage, analyzing the information and working with the appropriate legal authorities to promote accountability for those who commit the worst international crimes. Roar for Good is actually an LLC and B-corp certified, involved in work to decrease harassment and attacks against women. including a partnership with the One Love Foundation to address the underlying causes of violence against women. It’s a great case of technology for good, not just for profit.